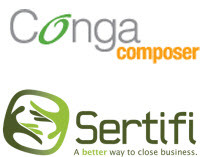 Sertifi, a provider of electronic signatures and Closing Automation solutions, and AppExtremes, Inc., developers of the Conga Suite™, announce complimentary webinars on streamlining the sales process using Conga Composer® and Sertifi for Salesforce. AppExtremes, Inc. will host two webinars on Wednesday, June 12 to demonstrate how Salesforce users can streamline the sales process using Conga Composer® and Sertifi for Salesforce. Limited webinar seats available. Register today! Conga Composer® makes it easy to create sophisticated documents and reports with data from any Salesforce CRM or Force.com application. You can print the document, save it locally or in Salesforce, email it or integrate with Sertifi for Salesforce, the electronic signature app for closing deals faster. 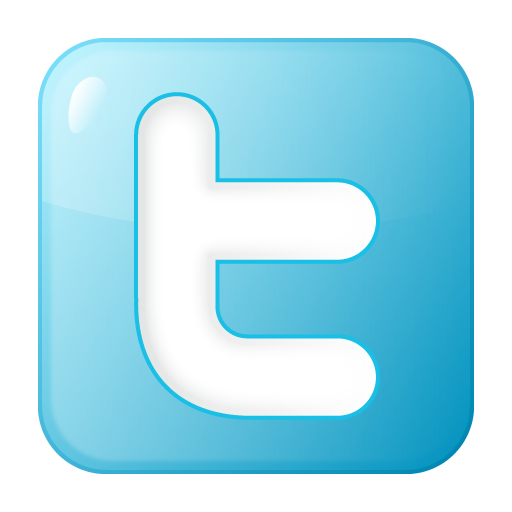 Sertifi for Salesforce eliminates the manual contract process of paper, printing, and faxing. Customers can sign within minutes significantly reducing the contract retrieval time. Sales reps can easily track and manage all agreements sent. Installation takes as little as 5 minutes. Sertifi provides eSignatures and Closing Automation Solutions that help organizations close deals faster. Sertifi enables sales teams to quickly reach agreements with customers and then execute the deals with electronic signatures. Customers can access Sertifi through its leading eSignature API, pre-built Salesforce and Microsoft Dynamics CRM integrations, and Web Portal. Leading organizations around the world including Pitney Bowes, CareerBuilder, U.S. Air Force, and Cricket Communications. AppExtremes, Inc. is the developer of Conga Composer® for Salesforce CRM, the most popular document generation and reporting solution for Salesforce. The company was founded in 2006 to help salesforce.com customers maximize their Salesforce data, and as a result, has rapidly built a fan base of more than 75,000 users, in over 35 countries, across all industries. The company is privately-held and based in Broomfield, CO. For more information, visit http://www.appextremes.com.